Before California became a state, schooners entering San Francisco Bay navigated by the old growth redwoods on the Oakland hills – nearly 20 miles distant. Today those old growth forests are gone, carted away along with their root systems for the early economic growth of the West Coast. The remaining transitioning forests are dense and woody and inhabited by tall, thin trees. 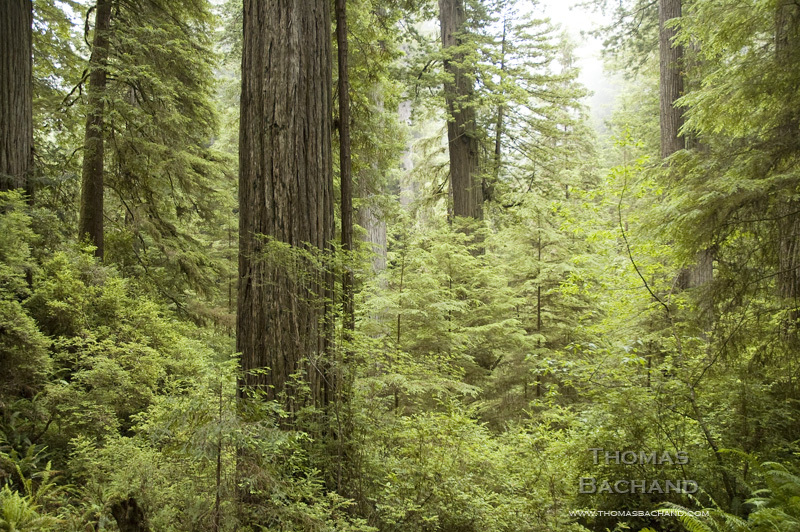 Less than five percent of California’s ancient old growth redwood forests remain. Driving north from my home in Oakland, through the backroads in search of the ancient temperate rainforests, I came to realize that we had not only extracted the trees, but the wilderness, as well. This was now a landscape of our own construct. The parks, largely on bottomlands where the largest trees grow, were surrounded by vast areas being logged. These sanctuaries were bisected by picnic sites, parking lots, campgrounds, and highways – the trees on exhibit behind auto glass. 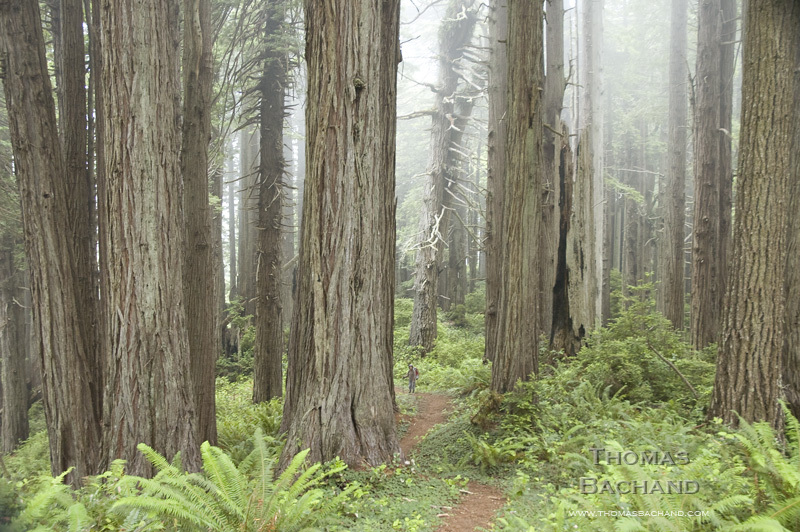 It was only on the trails that I discovered the forests of the Yurok, Tolowa, Karok, Chilula, and Wiyot. Away from the pavement, the trees wide and tall were spaced apart in majestic stands, their tops obscured by distance. The understory of huckleberry, rhododendron, and waist-high ferns, glowed in the filtered light. As a photographer, I am enticed back down the trail to the “construct.” There I find evidence of our beliefs, priorities, and our culture’s perception of our place in nature. Fog Shadow: Redwood National Park. Rain. Forest. Redwood National Park. 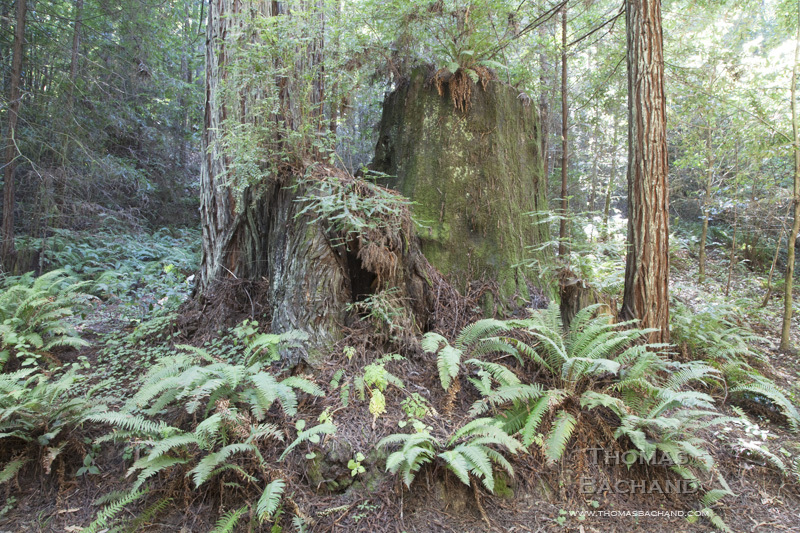 Part of my new series, Old Growth, this work explores California’s redwood forests and the enigma of old growth. We treasure these primal forests, yet less than five percent remain. For the remainder of this week and periodically in the coming months I will be releasing new images. Stump & Ferns. Jackson Demonstration Forest. Backpacker. Redwood National Park. California. 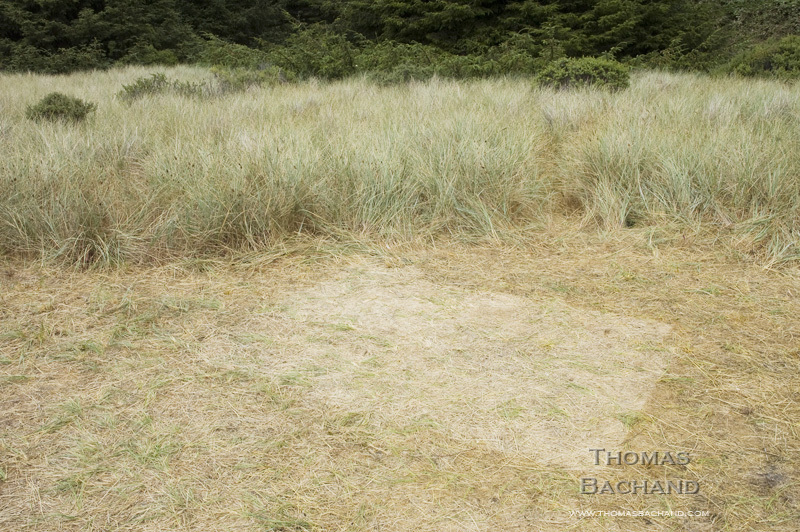 Today I will begin showing, for the first time, photographs from my Old Growth series. This work explores California’s redwood forests and the enigma of old growth. We treasure these primal forests, yet less than five percent remain. For the remainder of this week and periodically in the coming months I will be releasing new images.